Actually, theologically, our Church puts Uniates and Old Rite Schismatics virtually on the same level. Notice how the Church receives repentant Old Ritualists… the same way it receives Uniates! We see Uniates as “captured” Orthodox. So Latins… seen as heretics… are often baptised into the Church. Metropolitan Ioann Snychyov of Leningrad (later Petersburg) did this. The Greeks in Greece INSIST on it. Those teetering towards Rome in Istanbul run from this fact! 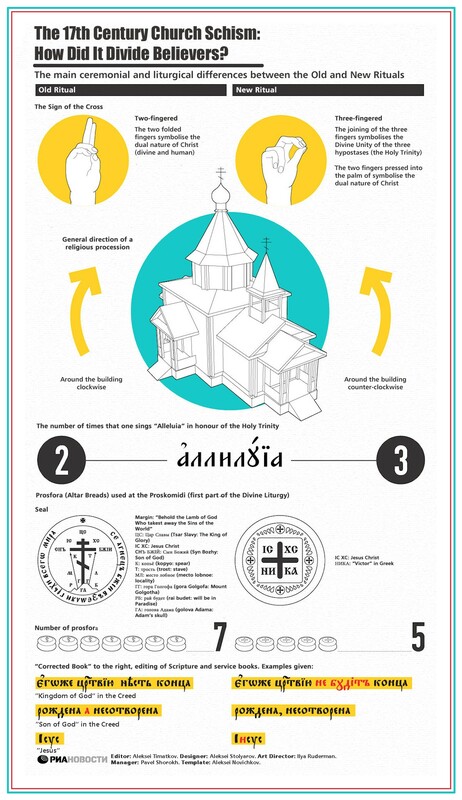 However, Copts, Armenians, Syriacs, Ethiopians, Eritreans, and often, many Old Catholics, are NEVER baptised, but the Church receives them via simple chrismation. On Friday, the MP said that it’d discuss a draft document that it hopes would “heal” a schism with the groups known collectively as Old Ritualists. A religious expert hailed the document as a “timely” effort by the increasingly-powerful Church, but some Old Ritualists rejected the initiative, claiming it wouldn’t redeem centuries of persecution. 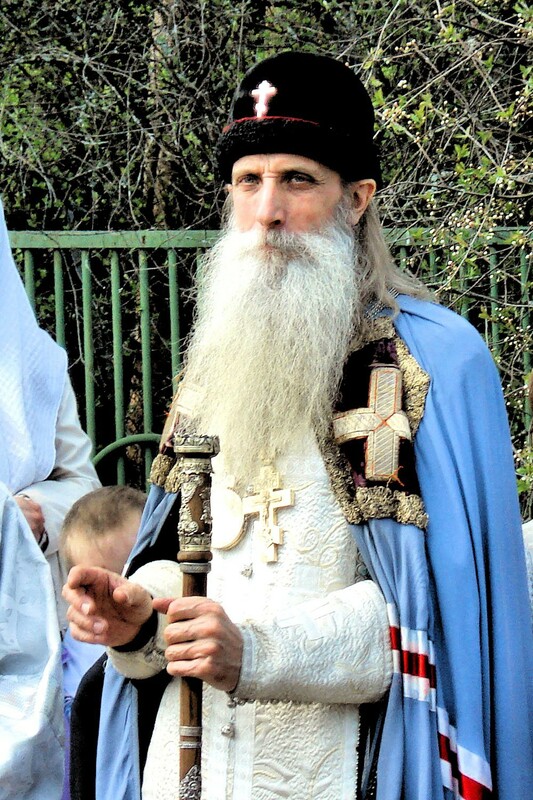 The Old Ritualists split from the mainstream Church after Patriarch Nikon Minin initiated reforms in the 1650s. The reforms sought to rectify the service books and the spelling of Jesus’ name in Cyrillic, and adjusted other matters such as the number of fingers believers used when crossing themselves. The mainstream Church chose three fingers, but the Old Ritualists stuck to two… and fled purges and mass executions in central Russia by settling in the Urals and Siberia, splitting into ever-more groups over doctrinal disagreements. Some of these groups managed to retain their distinct rituals and lifestyle under in the officially-atheist USSR, enjoying a revival after the 1991 Soviet collapse. Archimandrite Savva Tutunov told RIA-Novosti, “Some members of the [mainstream Church] retain and observe the Old Ritual. There are some Old Ritualists who, being separated from the Church, strive to reunite with it”. He added that the draft document aimed to restore uniformity in practise [amongst Old Ritualists] to facilitate reunification, saying, “Unfortunately, to this day, [Old Believers seeking reunification] differ significantly in their church and legal practises. We needed to introduce a canonical uniformity”. The draft document published on the MP official website Wednesday stipulated that any Christian baptised in the Old Ritual could “reunite” with the mainstream Church with chrismation only. It also stated that couples married under the Old Ritual “don’t necessarily” need to have a new ceremony in accordance with the mainstream canons, and that Old Ritualist monks wouldn’t have to retake their vows if they reunited with the Church. I fear that there’s no grassroots support for reconciliation. Unlike the position with the ROCOR, most Old Ritualists feel no lack in their present church arrangements. Indeed, often, they feel “superior” to us. There won’t be unity until there’s desire for it. It’s NOT a situation like that in the American diaspora where many in the OCA, MP/USA, and ROCOR feel a strong need for Russian Orthodox unity. There won’t be unity until the people say so… and that’s not in the cards, sad to say. Nevertheless, never forget that they’re our separated family… they’re not Uniates, after all. 18 May 2013. RIA-Novosti Infographics. The 17th Century Church Schism: How Did It Divide Believers? 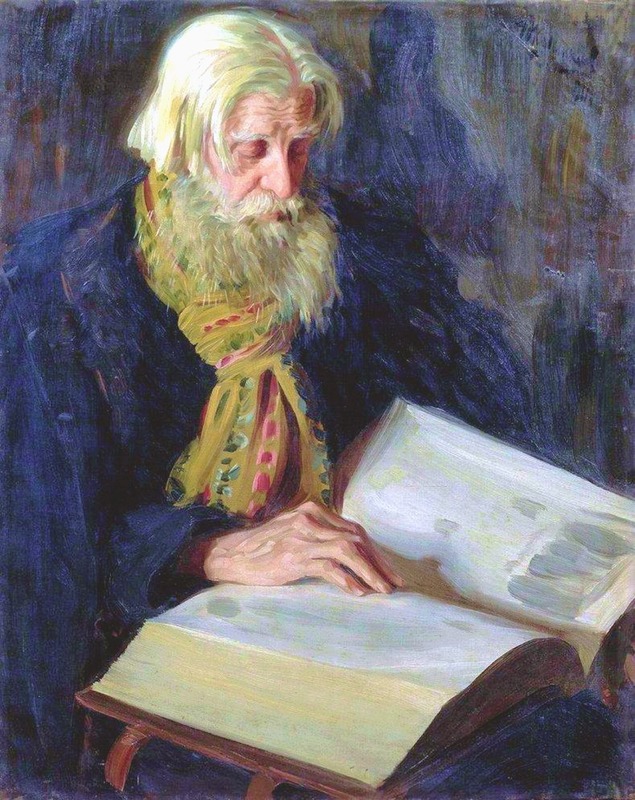 During the reign of Tsar Aleksei Mikhailovich, Patriarch Nikon Minin launched new studies of Russian sacred texts, comparing them with Greek models to identify discrepancies. The reform started with the convening of a Sobor in Moscow in 1654, which decided to bring the liturgical books in line with Greek manuscripts. The Great Moscow Sobor of 1666-67 approved new rites of worship and ranks. The authorities began a crackdown against the opponents of reform, which lasted for about two centuries. The Old Ritualists split at various times, the monarchy varied in its approach to them. At times, the government was lenient; at others, it was severe. Sometimes, the Belokrinitsky Old Ritualist hierarchy could serve legally at the Rogozhskoe Cemetery in Moscow, but at other periods, during the so-called “sealing of the altars”, the state forbade the Old Ritualists to serve the liturgy. In 1800, some of the “priested” Old Ritualists sought rapprochement with the Holy Governing Synod, which established a special structure for the so-called Yedinoverie (“One-Faithers”, “Unionists”)… maintaining the pre-reform ritual, they submitted to the jurisdiction of the canonical Church, recognising that ritual differences don’t affect general dogmatic teaching. For example, in comparing the sign of the cross, although they used different constructions, both usages symbolise the unity of the three persons of the Holy Trinity and of Christ‘s dual divine-human nature. In 1905, Tsar St Nikolai Aleksandrovich issued a decree on religious tolerance, removing all civil restrictions on the rights of the Old Ritualists, and, in 1971, an MP Sobor adopted a resolution to lift the oaths and anathemas from the old rites. Comments Off on 18 May 2013. RIA-Novosti Infographics. The 17th Century Church Schism: How Did It Divide Believers? President Vladimir Putin awarded the Order of Friendship to Metropolitan Kornely Titov of the Russian Orthodox Old Ritualist Church (RPSTs). Vladyki Kornely said at the award ceremony, “I sincerely thank you for this high award, which I had the honour to receive today. This is a historic event. For the first time in 350 years of our history, the Russian head of state presented a state decoration to a leader of the Russian Orthodox Old Ritualist Church”. Damba Ayusheyev, the 24th Pandit Hambo Lama, the head of the Buddhist Traditional Sangha of Russia, also received the same award. Metropolitan Vladimir Kotlyarov of St Petersburg and Ladoga received the Order of St Aleksandr Nevsky. Putin awarded the Order of St Yekaterina to Natalia Sarganova, who raised 35 foster children over 30 years. Also amongst those decorated was Mikhail Komissar, the CEO of Interfax, who received the Order “For Services to the Fatherland” (Third Class).